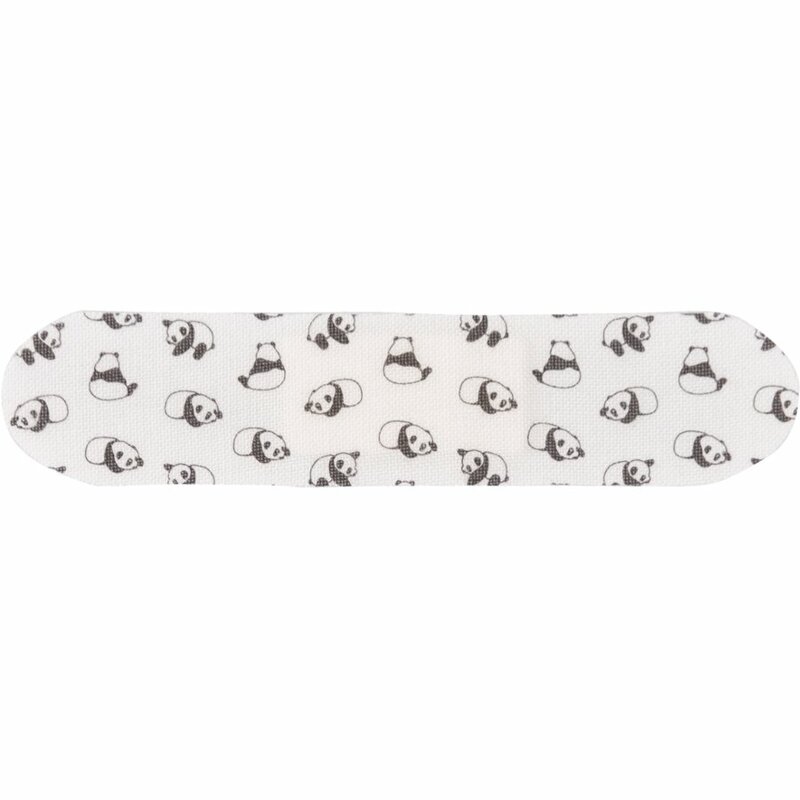 These cute panda print vegan plasters are made with organic bamboo fibre with coconut oil gauze to help soothe minor abrasions and provide long lasting support for children’s sensitive skin. The certified organic bamboo gauze acts as an oxygen agent to assist with the skins natural healing process and they easily contour the skin for maximum comfort and protection. 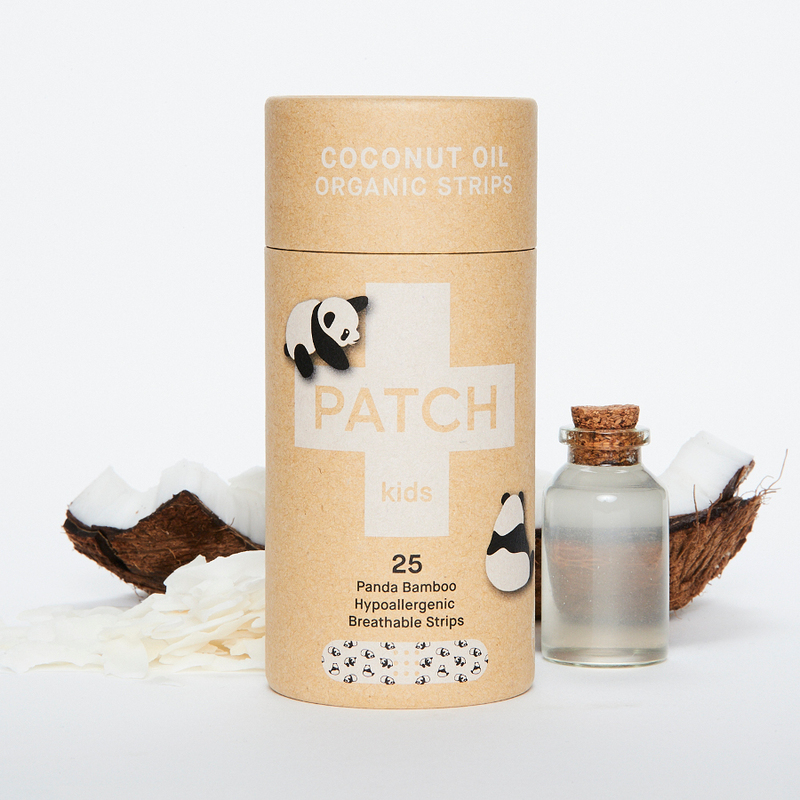 Free from irritating chemicals and containing ingredients proven to soothe symptoms whilst promoting wound recovery, they will leave no red marks or rashes and will not irritate even the most sensitive skin. The hypoallergenic pressure sensitive adhesive (PSA) is made from a combination of natural minerals and nano technology like tiny suction cups to gently adhere to the skin without causing reactions. 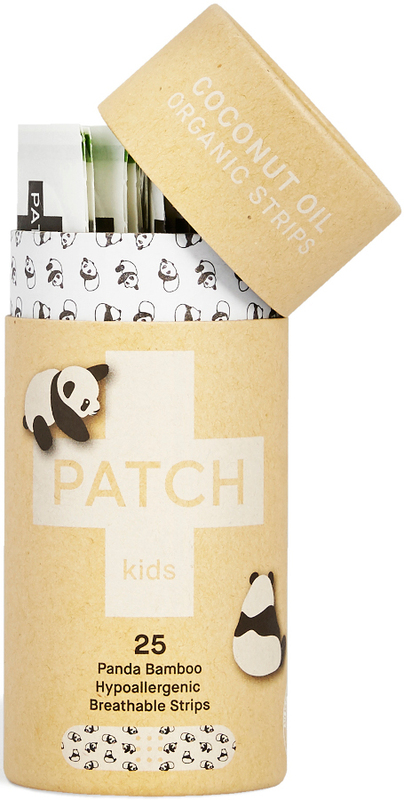 Patch believe that reducing their environmental footprint is the pathway forwards and they strive to make theirs as small as possible. This is why they've chosen to work with bamboo on this unique product line. Bamboo is a rapidly renewable resource that grows many times faster than trees, uses much less water, produces up to 35 more oxygen and doesn't need pesticides or herbicides! 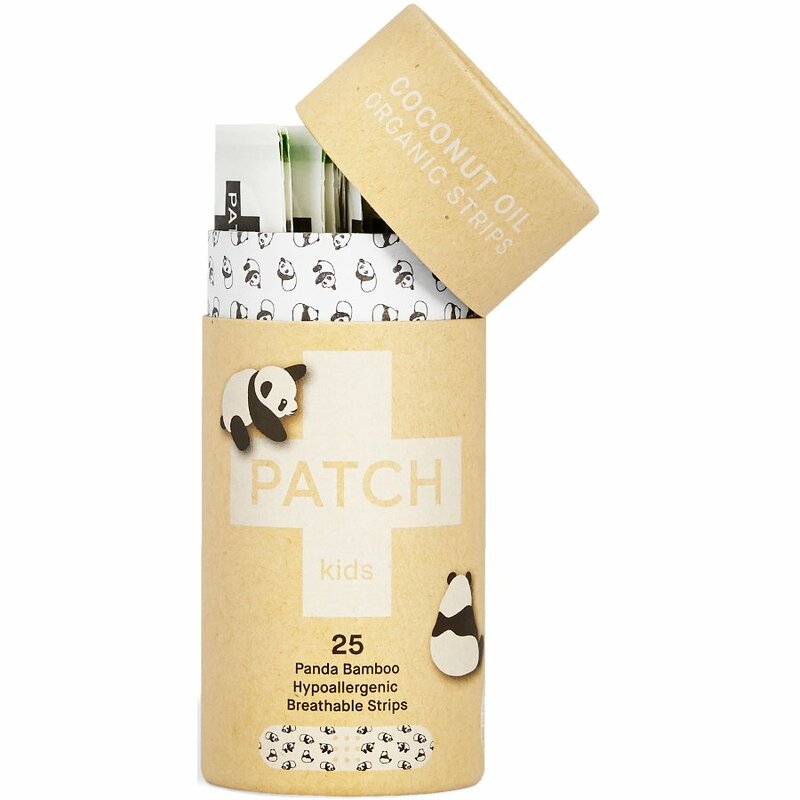 The PATCH Coconut Oil Kids Bamboo Plasters - Tube of 25 product ethics are indicated below. To learn more about these product ethics and to see related products, follow the links below. 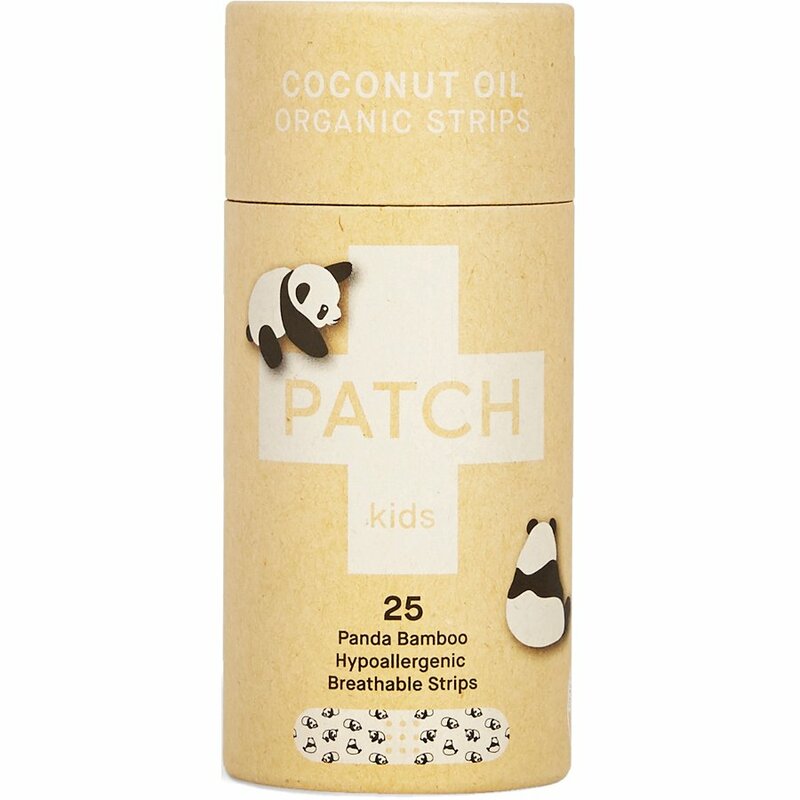 There are currently no questions to display about PATCH Coconut Oil Kids Bamboo Plasters - Tube of 25.